Avengers: Age of Ultron (2015) Directed by: Joss Whedon Written by: Joss Whedon (screenplay), Stan Lee and Jack Kirby (comic book) Stars: Robert Downey Jr., Chris Hemsworth, Chris Evens, Mark Ruffalo, Jeremy Renner, Scarlett Johansson, Paul Bettany, James Spader, Aaron Taylor-Johnson, Elizabeth Olsen and Linda Cardellini Run Time: 141min Rated PG (Canada) PG-13 (MPAA) for intense sequences of sci-fi action, violence and destruction, and for some suggestive comments. Avengers: Age of Ultron is a sequel and in many ways does what sequels do—sets up future films. It is also the current film in the MARVEL franchise and acts as a sort of crossroads where the pathways of many characters intersect. Walking into this super-hero movie unprepared would confusing and without the help of Joss Whedon’s expert writing and directing the film would be in danger of collapsing under its own weight. The large ensemble cast in the hands of a less skilled filmmaker would easily be unbearable to watch, but Whedon gives the audience a fair amount screen time for each character, lots of snappy dialogue, and top notch comic book action while successfully introducing new characters like the Maximoff twins, Quicksilver (Aaron Taylor-Johnson) and the Scarlet Witch (Elizabeth Olsen). The story begins with the Avengers (Captain America, Iron Man, Thor, The Incredible Hulk, The Black Widow, and Hawkeye), a team of special forces (S.H.I.E.L.D. agents), and Tony Stark's robots (Iron Legion drones) attacking an enemy base involved in human experimentation and other nefarious technology-based testing. Out of the base they retrieve the "business end" of a sceptre belonging to Thor's adopted brother Loki. It’s a powerful piece of alien technology which had fallen into the hands of the wicked organization Hydra first introduced in Captain America: The First Avenger (2011). Before Thor (Chris Hemsworth) leaves to return to his homeland, Asgard, with the remains of his villainous brother’s sceptre, Iron Man/Tony Stark (Robert Downey Jr.) asks to have a couple of days to study it. He and Dr. Bruce Banner/The Incredible Hulk (Mark Ruffalo) use it to help build an artificial intelligence (AI) named Ultron. 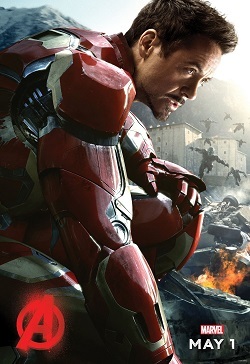 The AI was envisioned to be a protector of the Earth against the kind of intergalactic invaders the Avengers faced in Avengers Assemble (2012). As Stark puts it, "I tried to create a suit of armour around the world... but I created something terrible." The new AI Ultron, voiced by James Spader, becomes a threat to the very humanity he was envisioned to protect. In his first moments of "life" he is greeted by Tony Stark's AI butler/lab assistant J.A.R.V.I.S. (Paul Bettany), and proceeds to "murder" J.A.R.V.I.S. and take control of Stark's Iron Legion drones. In Ultron's initial development he learns everything he knows from the internet and, based on what he finds there, judges the Avengers and humanity unworthy of living on earth. When asked why he wants to wipe out humanity he simply says, "Noah." It seems Ultron has read the Bible online and drawn from it a sort of misguided inspiration. The self-deluded AI thinks of himself as a kind of god, yet he is also jealous of humanity and desires to have a body that is not just robotic but with some biological component. He also wants to be free from humanity and Tony Stark, often quoting lyrics from the Disney film Pinocchio (1940), "I've got no strings to hold me down / to make me fret, or make me frown / I had strings, but now I'm free / There are no strings on me!" Unlike Pinocchio, who becomes a good little boy in the end, Ultron without strings is thoroughly villainous, an unrestrained merciless menace who doesn't find redemption. Avengers: The Age of Ultron is so full of details and subplots it would be a challenge to see the bigger story if Whedon had not provided some very visible and obvious hints along the way. Near the film’s beginning, inside one of the jet planes in which the Avengers travel, a bumper sticker is plastered on the cockpit wall that reads, “Jarvis Is My Co-Pilot.” This tongue-in-cheek reference to the bumper sticker "Jesus Is My Co-Pilot," turns out to be less humorous and more serious when J.A.R.V.I.S. remerges as a saviour character in the film’s third act. Earlier, when the maniacal Ultron obtains some “vibranium,” the substance from which Captain America's (Chris Evens') shield is made, he ironically proclaims the words of Matthew 16:18, "On this rock, I will build my church." And why does he say that about the vibranium? Ultron planned to use it to fashion a hybrid alloyed/biological body for himself, a body he believed would all-powerful and virtually indestructible. This is an ironic statement because this indestructible body becomes the instrument of Ultron's downfall when the Avengers thwart his plan and the remnants of J.A.R.V.I.S. are uploaded into a newly-fashioned AI hybrid vibranium body. This new AI isn't just J.A.R.V.I.S. version 2.0, something unexpected happens and the new AI refers to himself as, "I am, I am." 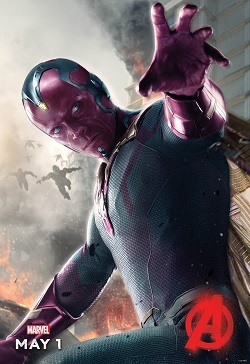 Later, this AI is referred to as The Vision (Paul Bettany). With the AI calling itself “I am,” Whedon undoubtedly is intending to call to mind the name God gave for Himself at the burning bush when God said to Moses, “I AM WHO I AM.” The Vision, who acts as a kind of virtually-indestructible, god-like AI then becomes the foil for Ultron. It's as though J.A.R.V.I.S. is resurrected from the dead and in his resurrected body fights Ultron as a servant for humanity. Where Ultron wanted no strings, The Vision gladly takes on those strings becoming what Ultron calls a "slave" in service to the needs of humanity. In essence, The Vision becomes what Stark had hoped for. Ultron: The world needed a shield... Stark settled for a slave. The Vision: Human beings are fearful and in need of protection. But then, that fear can inspire them to do great things. On the surface these Scriptural references will seem like Christian content worthy of some praise. However, they deserve some second thought. Whedon uses Scripture as a sort of short hand which drives his narrative and economically transmits larger concepts to the audience. This is not so much faithful Christian content as it is a director using Scripture to achieve his own narrative ends. Also note that most of the Scriptural quotations and theological remarks are made by Ultron who is clearly the film’s villain. At one point while sitting in a church, Ultron says," [They] put the building in the middle of the city so that everyone could be equally close to God. I like that, the symmetry, the geometry of belief." And where does Ultron sit? On a throne in the middle of that church. For Whedon, Avengers: Age of Ultron comes across as something more like Greek mythology with Christian window dressing. But what about the Scriptural theme of redemption? Yes, this is a film filled with themes of redemption, but generally speaking much of that is self-redemption. As Steve Rogers/Captain America says, "This isn't about beating Ultron; it's about proving we're not monsters." Ultron, the film’s true monster, is depicted like a Titan, a kind of malevolent Greek mythological god. The Vision and Ultron (albeit man-made creations) are not the only "god"-like characters in the film. In fact, alongside Thor, who is based on the Thor of Norse mythology, some of the other Avengers are also spoken of in the same terms. 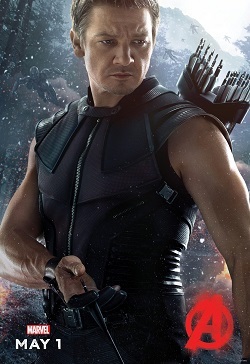 Hawkeye (Jeremy Renner), who turns in one of the film’s great performances, in a conversation with his wife concerning his involvement with the Avengers says, "You don't think they need me?" to which she (Linda Cardellini) says, "Actually, I think they do. They're gods, and they need someone to keep them down to Earth." This idea of them being like gods/heroes from a pagan pantheon is reinforced in the film’s credits which depict them in sculpted marble vanquishing evil Ultron in a modern version of classical Greek statues. 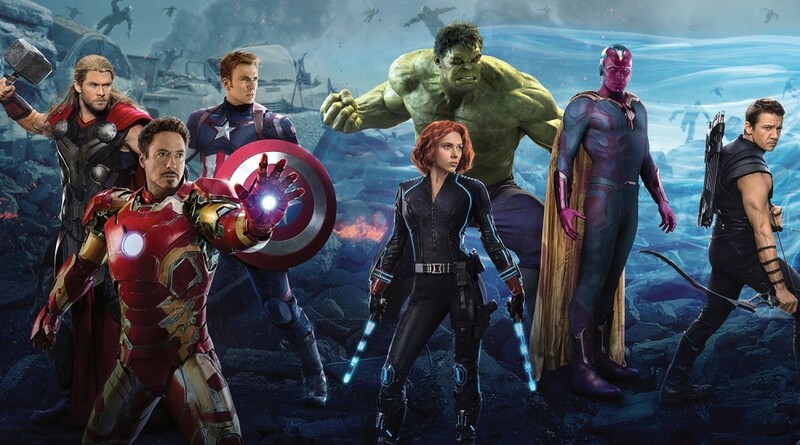 What are Christians to make of Avengers: Age of Ultron? Whedon's film is a soap-opera writ large, an epic investigation of chaos vs. control at the intersection of ego and responsibility, but it isn't a Christian film. Neither was it expected to be; in fact the frequency of Scriptural quotes and Christian references may well come as a bit of a surprise to many viewers. 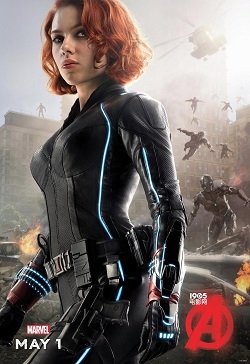 In the end it is an entertaining, carefully crafted story complete with wise cracks and even an unlikely Avengers romance between The Black Widow (Scarlett Johansson) and the Hulk. The film does its job advancing the big picture, meta-narrative of the MARVEL "industrial complex," and it will also do its job of making a heroic marvellous amount of money. As to the spiritual dimension of the film, what Whedon delivers is more clever and efficient style than enduring, deep substance: It may taste sweet, but like cotton candy, it will dissolve quickly when eaten. Just A Really Very Intelligent System.